Click here to read the Fellowship announcement on Artforum! A Blade of Grass is pleased to announce our 2019 cohort of A Blade of Grass Fellows for Socially Engaged Art as well as a new partnership with Los Angeles-based social practice funder SPArt! Artists Kevin Bott, Ras Cutlass, Daresha Kyi, Shaun Leonardo, Tara Rynders, Monica Sheets, and collectives House/Full of Blackwomen and John Malpede, Henriëtte Brouwers, and Rosten Woo will join the growing body of artists that A Blade of Grass supports through direct project funding, research, content, and public programs. 2019 marks the first year of a three-year partnership between A Blade of Grass and SPArt to offer the A Blade of Grass-SPArt Fellowship for Los Angeles, a new fellowship supporting Los Angeles-based projects. “I couldn’t be more excited about this timely investment in the ecosystem of socially engaged artists working in Los Angeles,” said Alexandra Shabtai, founder of SPArt. A Blade of Grass is also proud to be working in partnership with David Rockefeller Fund to offer the A Blade of Grass-David Rockefeller Fund Joint Fellowship in Criminal Justice for the fourth consecutive year. This fellowship examines the transformational roles artists play in a criminal justice context. The 2019 Fellows will explore issues of criminal justice reform, mental wellness, racial justice, workers’ rights, and gentrification, among others. The final eight projects were chosen from an initial pool of 571 domestic and international proposals, the record number of applications received through the annual A Blade of Grass open call since its inception in 2014. 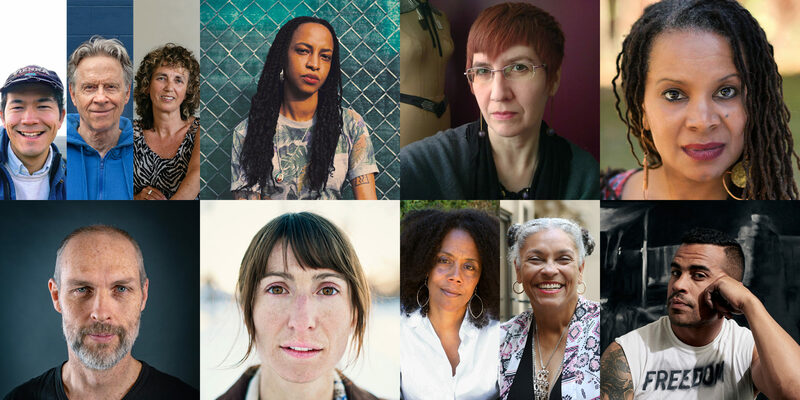 A selection committee comprised of Rocío Aranda-Alvarado, Suhaly Bautista-Carolina, Khaliah Pitts, Herb Tam, and A Blade of Grass Executive Director Deborah Fisher chose these applicants as leading examples of artists engaging community members as equal partners in ambitious and creative collaboration. Each A Blade of Grass Fellow will receive an unrestricted stipend of $20,000 and become the focus of field research conducted to document the various methods and outcomes of socially engaged art practices. Our work is made possible through the generous support of a growing family of individual donors and foundation and government partners. We are grateful for major contributions from our groundbreakers Annette Blum, Agnes Gund, Eva Haller, Shelley Frost Rubin, and Linda Schejola, as well as from David Rockefeller Fund; National Endowment for the Arts; SPArt; the Emily Hall Tremaine Foundation; the American Chai Trust; and the New York State Council on the Arts with the support of Governor Andrew M. Cuomo and the New York State Legislature.